Dora the Explorer was one of Nick Jr.’s most popular TV shows running from 2000 to 2014. The series was also responsible for spin-offs Dora and Friends: Into the City and Go Diego, Go. In 2017 a deal for the live-action movie was set in place. Details surrounding the film were scarce but said that the titular character would be a teenager in high school. Today this was confirmed as the trailer for Dora and the Lost City of Gold was released. In this movie produced by Paramount Pictures and Nickelodeon, we see an older Dora played by Isabelle Moner. 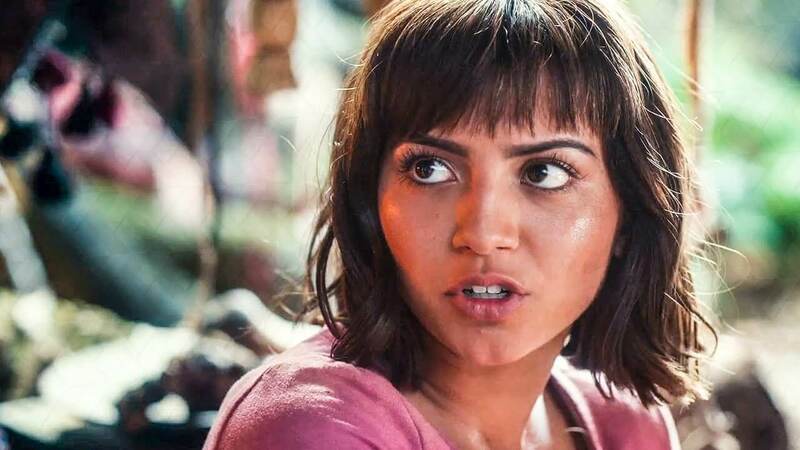 Isabela Moner as Dora Márquez. From the trailer, we see the character as she adjusts to the life of a typical American High Schooler while her parents (Michael Peña and Eva Longoria) search for the lost city of gold. She continues struggling to fit in before she gets kidnapped on a class field trip to a museum. Elements from the trailer definitely remind one of Tomb Raider, though this is much more family friendly. So don’t expect any extreme scenes any time soon. It’s hard to say if this movie will be seen by the kids who grew up with the cartoon. But it’s sure to be a hit with the young children of this time. Dora the Explorer aired on Nick Jr. on August 14, 2000. The show was praised for teaching kids basic Spanish. In its fourteen-year run, it aired 172 episodes across 8 seasons and had numerous celebrity guest stars including Cheech Marin and John Leguizamo. What about you? Will you be watching the movie? Or are you going to give it a hard pass unless your kids want to see it? Either way, click here to see the trailer. Let us know in the comments below.